Foritó is tray table with a placement surface even when the tray is gone. The table can therefore be used alone or with a tray. The permanent surface is perforated and patterned so that the table can be used outdoors without collecting rainwater. Foritó is made of powder-coated steel and the tray in laminated FSC certified birch. 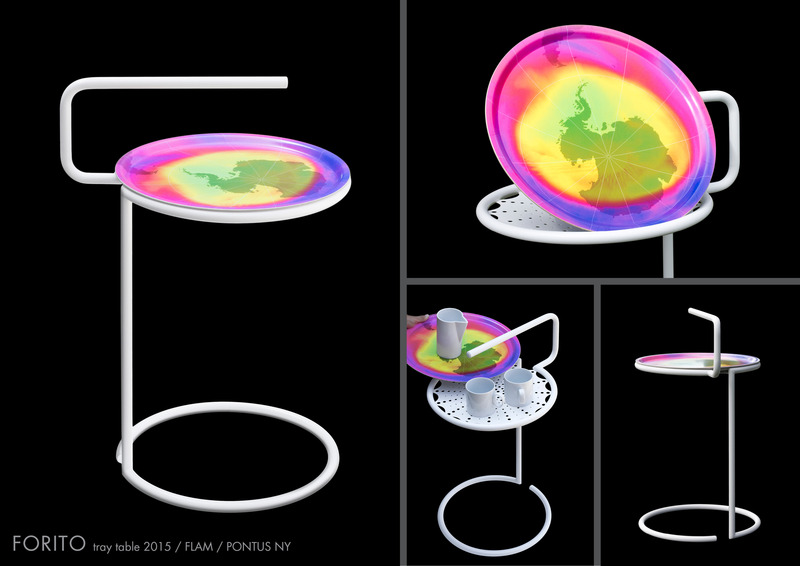 The tray-design is made by using data from NASA Ozone Monitoring Instrument on the Aura satellite. Foritó is manufactured in Sweden. 2014.